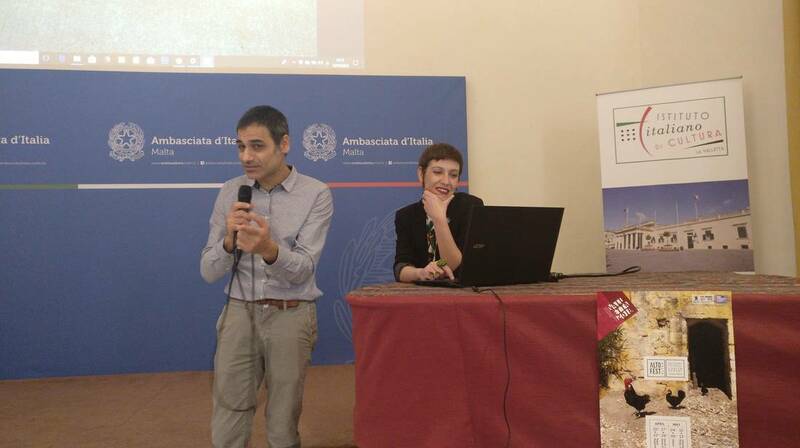 Giovanni Trono and Anna Gesualdi, creators of Altofest, during a press event today that launched a special edition of the festival today. Valletta 2018 has launched Altofest, a project that explores experimental sociality through contemporary live art. During Altofest, Maltese citizens host international artists in their houses, which then become venues that welcome audiences to see diverse performances. The theme behind Altofest Malta 2018 is ‘Legendary People’. Altofest creates a unique opportunity for perceiving and living the relationship between citizens and the arts. The project deals with how art emerges from the community as a distinctive expression, and becomes an instrument of social growth. A cultural project which inserts itself in the life of the city, directly involving its community, creates a new mythology where heroes are among its citizens. These heroes become ‘cultural heroes’, according to anthropologists, who influence the customs and traditions of the other citizens, and who bring innovation to the community while establishing a cultural identity. Altofest is a unique concept for Malta because it takes culture to the people, with various performances in unusual, private spaces. One of the performances, which will take place in Strait Street in Valletta, provides the audience with an immersive, one-to-one, unique experience, and the ability to personally interact with the stories of the people who lived in Strait Street during its most infamous time. This performance takes the audience behind closed doors. Other performances include dance, full-length theatre performances, a live-show combining the language of the environment and technology and audiovisual performances. Performances will take place across four different regions in Malta, over four consecutive weekends between April and May. Between the 20th and 22nd April, performances will take place in Rabat, Malta and Majjistral Park. Between the 27th and 29th April, performances will take place in Qormi, Ħamrun and Santa Venera. Between the 4th and 6th May, performances will take place in Żejtun. Between the 11th and 13th May, performances will take place in Valletta, Bormla, Birgu, Gżira and Sliema. The project has been created and organised by Valletta 2018 and TeatrInGestAzione, under the artistic direction of Anna Gesualdi and Giovanni Trono. Entry is free, however, booking is required, due to limited space. Booking may be made by visiting www.altofest.net, by sending an email to [email protected] or by sending a message to +356 79351051. For more information visit valletta2018.org and www.altofest.net.